Unorthodox-Jew A Critical View of Orthodox Judaism: Rosenfeld is accused of ordering boys to come into the recess room, where he would offer them candy, then carry out a variety of sexual acts on them. In addition, he is charged with beating pupils with sticks all over their bodies in front of the class. Rosenfeld is accused of ordering boys to come into the recess room, where he would offer them candy, then carry out a variety of sexual acts on them. In addition, he is charged with beating pupils with sticks all over their bodies in front of the class. One year after six teachers from the Belz Cheder in Tel Aviv were charged with physical and sexually abusing 22 children aged 3 to 10, five of the teachers have been sentenced. 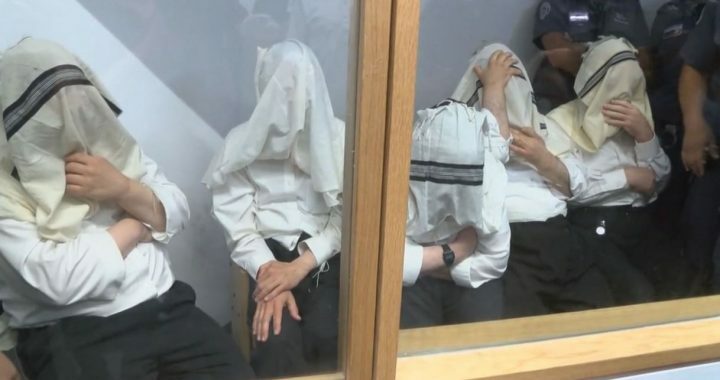 Yisrael Haim Shapira, Haim Fishgrund, Moshe Hirsch, Menachem Albershtein and Avraham Pinchas Deitsch were sentenced to a varying lengths of suspended prison terms and community service and were ordered to pay thousands of Shekels to the victims. These five teachers were charged with various acts of violent abuse and assault on the pupils for a decade or more. of the Belz Hasidic community, as well as other indecent acts, extortion and threatening pupils. He has thus far denied all charges and turned down a plea bargain that would see him pend 16 years in prison. Rosenfeld is further charged with tying children to their chairs with ropes and plastic strips, placing a spoonful of black pepper or soap in their mouths, and forbidding them to spit it out, leaving them to cry. He is also accused of prohibiting the children from going to the bathroom, instead ordering them to restrain themselves or relieve themselves in their pants, after which he would order them to clean it up. Rosenfeld is additionally accused of abusing animals in front of the boys, once allegedly abusing a cat and ultimately killing it in front of them after the cat entered his classroom. He is further charged with abusing his son and threatening his wife.